Recently promoted to Rear Admiral, Rupert Buck’s flag flies aloft HMS Trident as his squadron is formed. Captain Sir Gabriel Anthony, England’s latest hero, has been chosen as flag captain. What was to have been a routine mission has suddenly been changed by the Foreign Services Office. American privateers have joined with the French to raid British convoys returning from the Indian Ocean. Buck’s squadron has to immediately weigh anchor and rush to meet this new threat. A sudden crisis develops and Gabe suddenly finds himself thrust into command of the squadron. Follow the ships and men under Rear Admiral Buck’s flag as they raid a neutral fort, battle the elements and face a powerful enemy with cannons blazing. 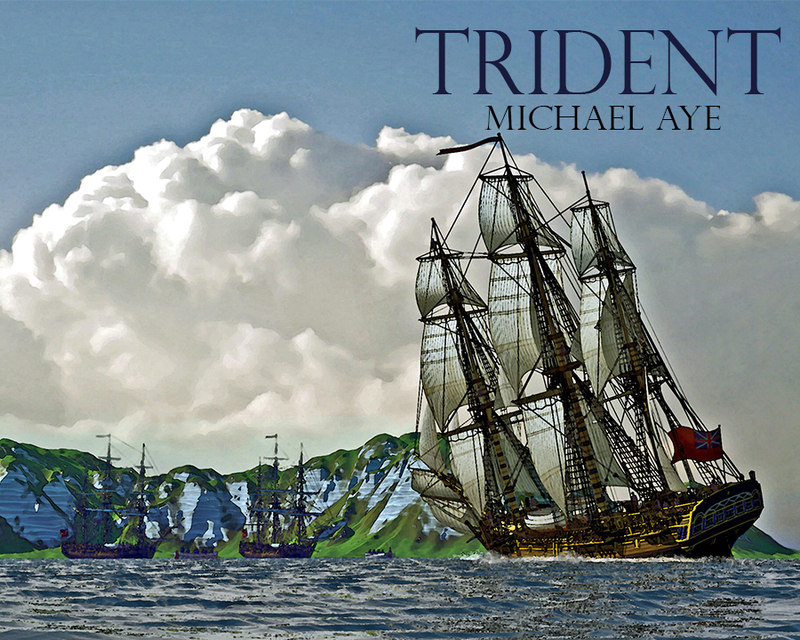 Michael Aye (see his website) is the author of the popular naval fiction series, The Fighting Anthonys. Trident is the sixth in the series. Most recently, Aye has begun a series on the War of 1812. The first book in the series, War 1812: Remember the Raisin, is now available from Bitingduck Press. Trident as an e book?